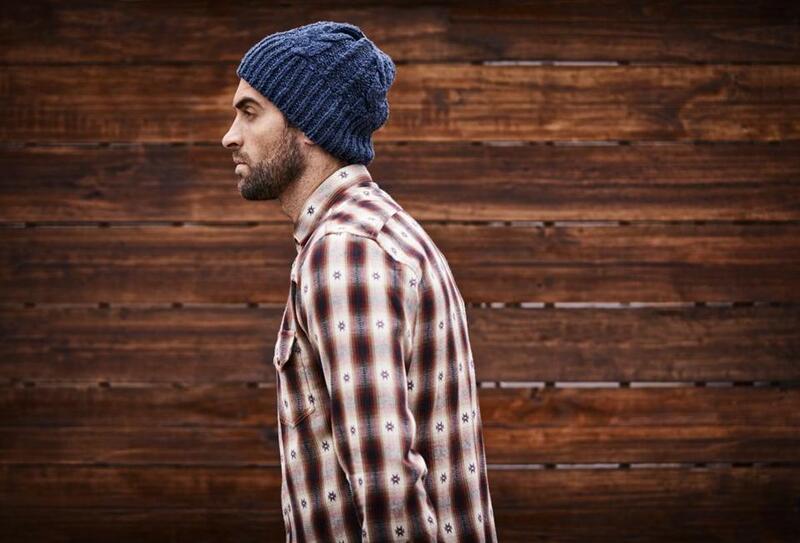 A man thought this stock photo of "a handsome young man in trendy winter attire against a wooden background" was him. He saw it in an MIT story about hipsters and accused the university of using his image without his permission. It wasn&apos;t him, just a generic stock photo of a model. You can spot a nonconformist a mile away. Because they all look alike. Just ask mathematician Jonathan Touboul, an associate professor at Brandeis University. Like the rest of us, Touboul has noticed that people who strive to look different usually end up looking the same. He’s even given it a name: “the hipster effect.” But Touboul has gone one step further, by coming up with a mathematical explanation for why it happens. Touboul’s dense, bewildering paper on the hipster effect has made him a celebrity in the abstruse world of higher math. And the premise of his work was ironically confirmed when it was written up on MIT Technology Review, a website run by the Massachusetts Institute of Technology. A reader of the review article threatened to sue, claiming that his photo had been used without permission to illustrate the story. Only it wasn’t the reader’s photo, but a generic image of a plaid-shirted, bearded hipster purchased from a stock-photo agency. “All of which just proves the story we ran,” said Technology Review editor in chief Gideon Lichfield in a message on Twitter. In other words, the guy who'd threatened to sue us for misusing his image wasn't the one in the photo. He'd misidentified himself. Touboul specializes in using mathematics to understand the functioning of neurons, the cells that form the connections in our brains, and which can also be simulated by computers. He works with researchers studying Parkinson’s disease, hoping to find ways to relieve symptoms by synchronizing the functions of a patient’s neurons. He began working on the hipster effect as a side project in 2014, publishing his work on ArXiv, a website where scientists post papers that aren’t yet ready for traditional peer-reviewed journals. MIT Technology Review discovered Touboul’s work only recently, after he posted a major update, featuring more than 20 pages of math. Touboul created a neural network where some of the neurons would behave like conformists, usually — but not always — doing what the majority does. Others would act as hipsters, usually — but not always — making fashion choices that were the opposite of what the conformists would do. The neurons are designed to behave with a certain randomness, because Touboul has found that this makes it more likely they’ll synchronize. He also added a time delay, so that it would take a while for the conformists and hipsters to recognize changes in fashions. This corresponds to real life — even the most fashion-forward hipster may not hear about some new trend for weeks or months. When he ran the model, Touboul found that, after a while, he achieved the synchronization he was looking for. The conformist neurons would automatically approve of whatever fashions were favored by the majority. But in their effort to go their own way, the hipsters would also end up synchronizing around a a variety of clothing or hairstyles that these neurons perceived as “different.” Over time, the hipster neurons would realize that their fashion choices were actually quite predictable. When this happened, they would abandon their now-unfashionable look and synchronize around something different. Like most of us, Lichfield doesn’t fully understand the math, but he buys Touboul’s hypothesis. “Intuitively what he’s saying makes sense,” he said. And if intuition wasn’t enough, there was that bizarre e-mail from the reader convinced that he saw himself in the photo of a stranger.